The beautiful territory of Le Marche is rich in Natural Parks and protected area's. 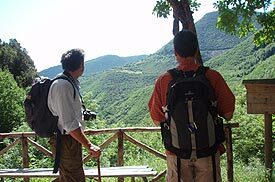 From the Conero Park in front of the sea, to the National Park of the Sibillini Mountains and the Gran Sasso. A walking tour in this area brings you in a timeless journey, with unique and extraordinary experiences. Discover the beauty of the Marche with art tours to hidden art treasures. In a beautiful venue in the heart of central Italy, with all comforts, wonderful accommodations, young, friendly and informal atmosphere, restaurant with excellent kitchen, large swimming pool surrounded by a park with woods and fields and with spectacular 300 degree views of the strolling hills and the Sibillini Mountains, a stunning views of the Italian landscape. 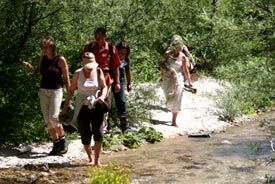 Enjoy yuor travel in Italy with daily activities: Hiking & Walking in The Marches in a fantastic location with fun and new friends. Ennio and his friends will leads you to this unique experience and will introduce you in a relaxed way to the story, art & food, wine and life of one of Italy's most beautiful regions. discover the beauty of Marche Italy! 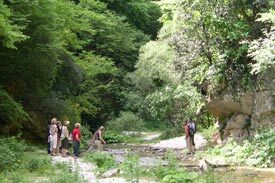 Hiking & Walking in the Marche, combines excoursions from the sea to the Sibillini mountains, Italy. Enjoy daily activities with good food, wine tastings and a lot of discoveries. 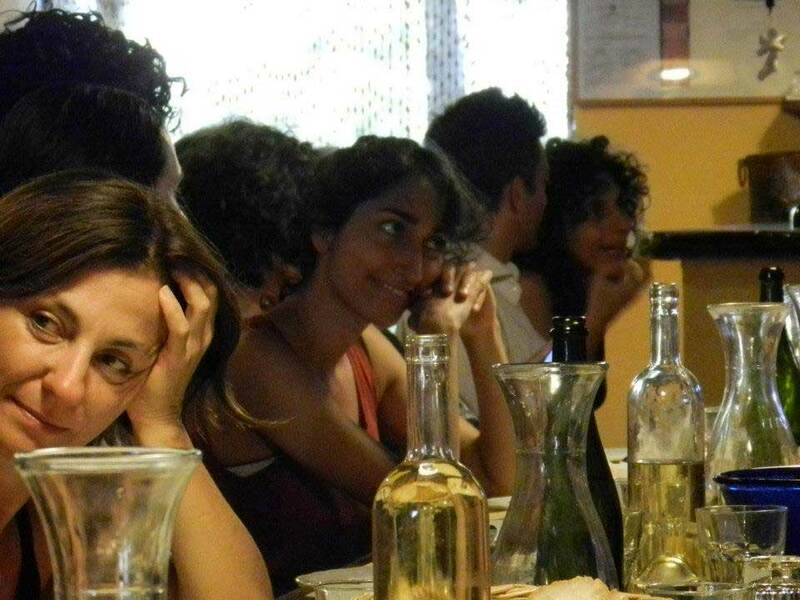 This is a unique experience and will introduce you in a relaxed way to the story, art, food, wine and life of one of Italy's most beautiful regions. The cooking classes are held in English, by your Italian chef and host Ennio Barbieri and his friends. Behind his joking and informal attitude hides an enormous source of knowledge and information that satisfies both the lover of the Italian Kitchen and the professional. 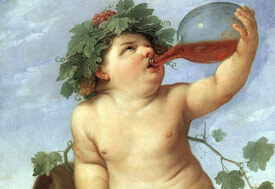 He is an active member of the Slow Food association, researcher of ancient traditions, receips and alchemy. Everyday a cooking course, excursions to local markets to buy the ingredients, picking aromatic herbs and vegetables from the kitchen garden, wine tasting and lectures. Italian cuisine is inseparable from the Wines and the vineyards the markets and the medieval villages, the landscape and the climate and Marche is the perfect place to experience the real authentic Italy. Guided visits to Urbino, Assisi, Loreto, Macerata, and beautiful convents and abbey in Tolentino and Abbadia di Fiastra.